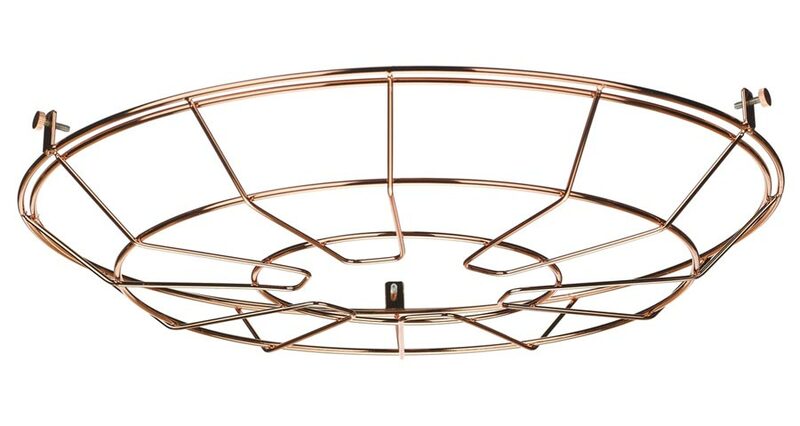 David Hunt Lighting Reclamation pendant cage frame in a soft copper finish allows you to customise the look. Simply attaches to the rim of the pendant and acts as a protective cage. Suitable for the complete Reclamation collection. Please note: this accessory is for the Reclamation pendant only and is not suitable for any other light fitting.